Freud’s “Mourning and Melancholia” (1917) is only 20 pages long. Arguably, it’s the second-best book ever written about depression, authored by a person who suffered from it himself. Syphilis. About a quarter of the patients in psychiatric hospitals at the beginning of the 20th century suffered from syphilis. They had lost their humanity, after the disease affected their brains. 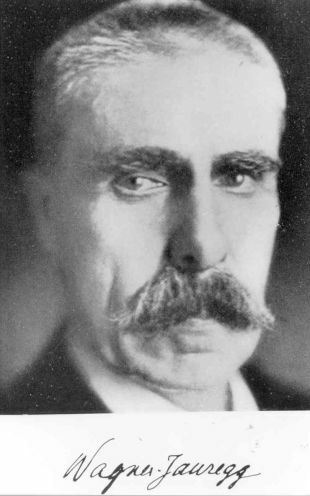 The Austrian psychiatrist Julius Wagner-Jauregg (1857-1940) believed in the beneficent effect of extreme physiological conditions on mental illnesses. He also believed in the harmful effect of extreme physiological conditions on mental illnesses. Accordingly, he tried to cure psychosis by two methods: hormone injections for patients whose sexual development seemed to him inhibited, and sterilization of patients who, in his opinion, were prone to excessive masturbation. The anarchy that prevailed in the realm of experiments on humans until the 1960s occasionally gave rise to exciting discoveries. Wagner-Jauregg found that syphilis patients who were inoculated with malaria developed a fever, as a result of which some of the symptoms of the madness and paralysis associated with damage to the central nervous system disappeared. The “pyrotherapy” he developed – curing paralysis and dementia by raising the patient’s temperature – fired the imagination of the scientific community. The pioneering idea that symptoms of one disease could be attacked by symptoms of another disease enthralled the members of the committee of the Nobel Prize for Physiology or Medicine, and in 1927 they awarded the prize to Wagner-Jauregg. He was the first psychiatrist to win that honor. There’s a certain irony in the fact that a few years earlier, the founder of pyrotherapy was known for having treated soldiers who suffered battle fatigue in World War I by means of cruel ice baths. But the Austrian’s scientific thought was based primarily on contradictions and on an unrestrained lust to cure. Penicillin, which offered a full cure for syphilis in its initial stages, was discovered in 1928. Science, always quick to forget its past, forgot the pyrotherapy of the Nobel laureate who for a moment had been even more famous than Freud. But others did not forget the psychiatrist’s past: In the 1930s, his request to join the Nazi Party was rejected, because his first wife was a Jew. Tuberculosis. The March 3, 1952, edition of Life magazine ran photographs of tuberculosis patients dancing. A few weeks earlier, the terminal tubercular patients in the Seaview sanatorium, in Staten Island, New York, had begun to receive a new medication for tuberculosis: iproniazid. The enervated, frail patients seemed to spring back to life. One of those who were treated with the drug, whose life was in danger because of his low weight, astounded his doctors by requesting a five-egg omelet for breakfast. The start of the modern medicinal treatment of depression lies in a pill that was developed to treat tuberculosis. Would you take a pill for TB treatment if you weren’t convinced that you were ill with the disease? Most people who take Cipralex (Escitalopram, also known by the brand name Lexapro) today are not ill with depression. Most people who take the highest-selling prescription drug in the United States (Abilify; chemical name aripiprazifole) don’t know that the medicine they’re taking was developed for treatment of schizophrenia and only in recent years made its way onto the list of best sellers in the treatment of depression. The code word that’s used to describe psychopharmacological cocktails whose mechanism of action is not yet understood by science, is “augmentation”: heightening the effect of one psychotherapeutic drug by combining it with an additional drug. Our old friend, Julius Wagner-Jauregg, would have rejoiced in our present-day overzealous psychopharmacological industry. Phrenology. “Look intensely into your patient’s eyes,” one of my psychiatry teachers told me on one occasion. “If you look really well, you’ll be able to read what’s written there: ‘schizophrenia.’” The source of the epithet “shrink” (how else could I refer to my old mentor?) lies in phrenology – a science that purported to draw a systematic connection between indentations and protrusions on the skull and the shape of certain areas of the brain, and human traits. Human beings have a large head that is crammed with thoughts and emotions. The traditional role of the shrink was to shrink and restrain the influence of the head on human behavior. Contemporary psychiatrists and brain researchers don’t like to be compared to phrenologists. But why not? In what way do phrenologists of the 19th and early-20th centuries – who measured the distance between the tip of the nose and the tip of the chin, in an effort to identify the structure of the skull that is typical of a good-hearted person or one prone to criminality – differ from the brain researchers of the 21st century, who use advanced brain-imaging technologies to predict people’s ability to appreciate poetry, or to characterize the brain activity of people who espouse certain political views? There’s no need to complain about the researchers. They’re only following the big money that the pharmaceutical industry is injecting into the brain sciences. Are they aware that they are part of a broad cultural project, one of whose goals is to produce a “behavioral individual”? Happiness pill. The culture of violent psychotropic medicalization that has taken control of us – physicians and patients alike – in the past 30 years (last year marked the 30th anniversary of Prozac) plays a central role in the emergence of the “behavioral individual”: one who does not look for meaning in what he feels or thinks. A subject who has plenty of questions for Google and Facebook, but few for himself. The behavioral individual was well represented by two of the experts interviewed in “The Happiness Pill,” a documentary film by Talya Peled Keinan that was broadcast recently on Israel's Channel 10. One of the psychiatrists interviewed for the report (I should add that I also am interviewed in the film) explained that there’s no difference between human anxiety and the survival function of anxiety in deer in the savannah. A psychologist in the film explained that a human being is ultimately a “biological animal.” If this is what mental-health therapists think about their patients, it’s no wonder that users of the titular “happiness pill,” Cipralex, who were interviewed came off occasionally like deer in the savannah. Some of the patients interviewed in “The Happiness Pill” sounded to me like people who want to be smarter. The depression they suffered from could certainly have helped them achieve that goal, but someone lost no time in depriving them of that emotion. “There’s no reason for you to suffer,” the physicians explain, and encourage their patients to treat every sign of mental anguish, sadness, shame or guilt as a disruption of the brain’s activity – a hitch in the operating system. This is the finest hour of the “brain people,” those who see psychological and biochemical occurrences as two aspects of one phenomenon. On the side of the losers in this contest are the “psyche people.” From the viewpoint of the latter, the trend of the subject’s diminishment to a biochemical phenomenon is in itself cause for deep sorrow. Neurotransmitters. Until not long ago, serotonin was very much in vogue in biological psychiatry. Today there is no theory that explains satisfactorily the mechanism of action of the antidepressant medications. It is actually psychoanalysis that has propounded several theories that have competed for decades in offering an explanation for the beneficent effect of “talking cures” on depression and anxiety. The absence of a physiological-biological theory for depression does not stand in contradiction to the effectiveness that antidepressant medications can have. There is also no biological theory that explains the fondness of many people for coffee or for Abu Hassan’s hummus. The difference is that none of the people waiting in line for hummus in Jaffa thinks that he has a hummus deficiency in his blood. Stigma. It’s important for the pharmaceutical companies to preserve the stigma of depression, so that they can go on talking about the need to remove the stigma of depression. It’s equally important for these companies to blur the distinction between major depression as a debilitating illness, and the more common feeling of dysphoria to which all humans are prone. The stigma of mental illnesses from the premodern period has become a central tool in the marketing strategies of the psychopharmacological industry. Vast amounts of money are being pumped into epidemiological studies aimed wholly at showing that there are still multitudes of people who are sad, and who haven’t been apprised of the message of Cipralex and its ilk, because they are ashamed to tell their doctor that they are suffering. HMOs around the world instruct family doctors to ask a small number of questions, to be used to screen suitable candidates for antidepressant treatment. A smokescreen also hides the true economic cost, as well as the political and social side effects of the war that the psychopharmacological industry, assisted by the medical profession, has declared on feelings such as emptiness, nullity and dissatisfaction harbored by millions of young people who are being prescribed antidepressants. Not long ago, data were presented in the British Parliament showing that the rise in the consumption of antidepressants has brought about a steep increase in the number of young people receiving disability allowances for mental reasons. Medicinal treatment of depression might be lifesaving for those who are affected by a major depressive illness, but the behavioral individual is also a weakened individual, both at the personal psychological level and at the political level. People who take Cipralex will not “storm the Bastille” – and that’s not because they’re happy. Do we want to live in a society where pain, whether of an individual or a group, no longer sends people to the town square or awakens in young people something of a yen to burn tires? 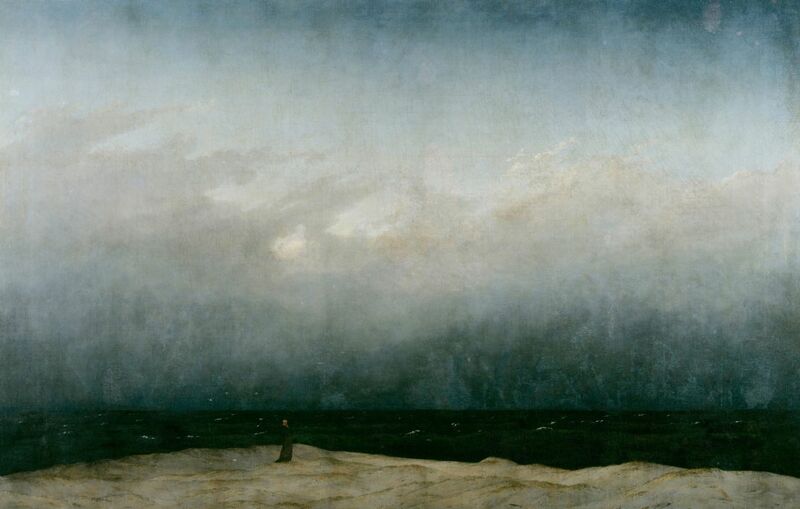 'The Monk by the Sea' by Caspar David Friedrich. Mimetic desire. 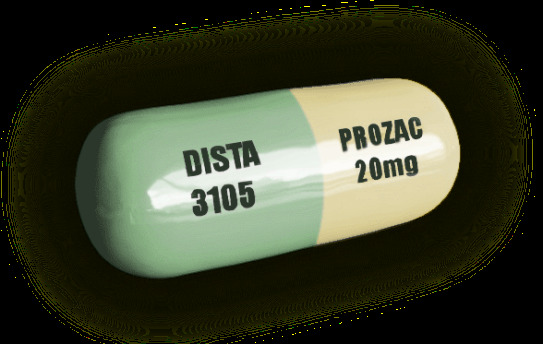 The greater the number of people who report that they are taking antidepressants, the greater the number of people who feel that what’s keeping them from living a better life is an antidepressant. To make people desire Cipralex, it’s not enough to boast of sales data, persuade people of the medication’s effectiveness or ridicule psychotherapy as either a relic from the past or “a luxury for the rich.” The act of taking the medication is presented loudly as the sovereign act of a person who is taking responsibility for his life and shaping his destiny voluntarily. The message is, “Don’t be heavy.” Because in a world of psychoactive substances, there’s no longer a difference between happiness and pleasure. The newly approved digital psychiatric drugs that are designed to monitor patients’ compliance should raise many bioethical questions. Are we approaching the day when those who refuse to take a small pill that will thrust them into Paradise will be considered incorrigible killjoys? Why suffer? There’s no need to elaborate on the importance that pharmacological treatments can have in the treatment of serious mental disorders. But in contrast to the deer in the savannah, for human beings, some measure of tolerance of mental anguish, depression, guilt and anxiety is required for growth, understanding, self-knowledge, reparation, creativity and also for love. It’s impossible to love life and oneself when sorrow is treated as little more than garbage that needs to be dumped. I offer my patients Cipralex when we reach the conclusion that neither they nor I have anything better to give them. I do so with a heavy heart, because the effectiveness of these drugs, however gratifying symptomatically, may also rob them of their subjectivity. The psychologically adverse effects of psychotropic drugs that target “common unhappiness” could be far more disadvantageous then present-day “brain culture” is willing to acknowledge. 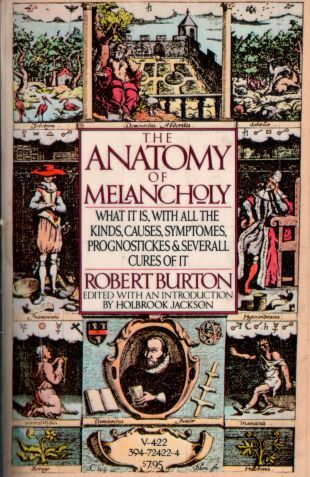 Am I romanticizing the virtues of mental suffering, as Robert Burton in his illustrious “The Anatomy of Melancholy” was sometimes inclined to do? Nay, I am concerned that prescribers of Cipralex take not only depression and anxiety from their patients. Dr. Eran Rolnik is a psychiatrist and psychoanalyst.